Stroke occurs due to the disruption of oxygen transportation to the brain. An impairment associated with stroke is the loss of motor function resulting in decreased mobility. Physiotherapy intervention is required as a result and early rehabilitation is beneficial. Robotic-Assisted gait training (RAGT) is a new physiotherapy approach that incorporates repetitive task-specific practice to promote mobility and improved motor function. 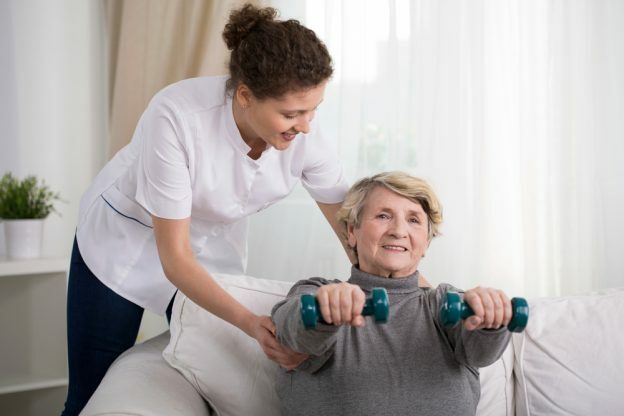 This study aims to compare the RAGT approach compared to traditional physiotherapy intervention in promoting motor function recovery post stroke. 41 patients with subacute stroke (4-31 days post stroke) were selected in total. All patients were selected from the same ward and treatments were delivered by the same physiotherapy team 5 days per week. 14 participants received the robotic system device RAGT intervention which involved wearing a motor driven orthosis to assist in lower limb training. The patient’s whole body weight was supported over a treadmill throughout. The patients lower limbs were then guided by a speed controlled treadmill in order to induce the stance and swing phase of the gait pattern. These were selected due to the fact they had received four or more previous RAGT sessions. The other 27 participants received traditional physiotherapy treatments for stroke rehabilitation to correspond with the Hong Kong Hospital Authority protocol. These approaches involved limb mobilisation, muscle tone normalisation, muscle strengthening, electrical muscle stimulation, transfer training, gait training and balance training. The study used 4 functional outcome measures to assess the intervention, including the Modified Functional Ambulation Category (MFAC), Modified Rivermead Mobility Index (MRMI), Berg balance Scale (BBS) and Modified Barthel Index (MBI). Factors that were assessed included ambulation, mobility, balance and ADL’s of the participant. These measures were then used to compare the RAGT group with the control group in both pre- and post-intervention. According to the study, those in the RAGT group showed higher changes in all functional outcome measures than those in the control group. Greater improvements were identified in MFAC, MRMI, BBS and MBI scores for those receiving the RAGT intervention. To critically appraise this study, the CASP Case Control Study tool was used, with study aim and objectives, participant selection and results and outcomes all addressed during this study. One striking weakness of this study was the small sample size. Due to the strict inclusion/exclusion criteria such as age, session participation, post stroke ability, the sample size was limited. Although the starting number of patients screened was 1,170, only 41 in total were suitable. An unequal sample size in each group was seen, as the control group consisted of a much larger sample. In order to develop a more significant data set a larger sample size would be required. The strict exclusion criteria made it difficult to maintain a larger number of participants. The time period that the study was conducted over (which was a year) was appropriate, however a larger sample size over this time could possibly have been more beneficial. Aspects of the methods used noted that participant’s time in each session lasted 60-90 minutes, illustrating that not all participants received the same amount and it was judged on the tolerance of the patient. This means that some participants received more session time per week which could have affected the final results. The allocation of the groups could have resulted in selection bias as the RAGT group had a specific criteria of four or more RAGT sessions. This familiarity with the treatment could ultimately lead to more favourable results. While blinding in this case could not be achieved it may lead to rater bias. The study attempted to limit bias through a strict participation criteria, this meant that it resulted in a high drop-out level among patients. This approach strengthened the validity of the results as all participants were similar when starting the study with homogeneity being maintained in terms of age, duration of stroke and functional ability on admission. No significant differences (p<0.05 in all post recording), proving that higher gains were seen in the RAGT intervention group. In addition, the implementers were all trained physiotherapists qualified to work both with the traditional physiotherapy group (control) as well as being certified to use the Lokomat Pro (robotic device) in the RAGT sessions. The research indicates that the use of RAGT as a treatment method for stroke rehabilitation is beneficial and shows higher levels of improvement than just using traditional treatment methods. The findings need further research, and a larger sample size would also provide greater significance for future reference. Randomisation of participants may also be more beneficial as it may limit any possible selection bias. • SALTER K, CAMPBELL N, RICHARDSON M, MEHTA S,JUTAI J, ZETTLER L, MOSES M, A & MAYS R. (2013). Outcome Measures in Stroke Rehabilitation. Evidence-Based Review of Stroke Rehabilitation.42-73. • PING HO CHUNG B. (2017). Effectiveness of Robotic-Assisted Gait Training in Stroke Rehabilitation: A Retrospective Matched Control Study. Hong Kong Physiotherapy Journal. 36, 10-16. • KOPEC J & ESDAILE J. (1990). Bias in Case-Control Studies. A Review. Journal of Epidemiology and Community Health. 44(3): 179-186.